Water flows down the steep rock walls of Eagle Creek. 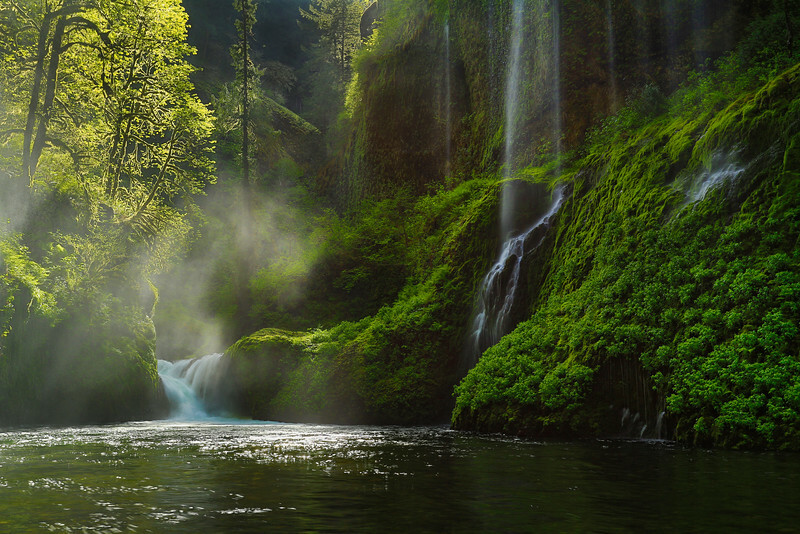 This amazing watershed has 13 waterfalls that range from 12 ft to 150 ft high. I consider this one to be the most photogenic of them all. Stunning...gorgeous light through the mist! This looks like a magical place. Beautiful capture. Beautiful scene...love the mist with the light through it! Beautifully captured; love the light and mist!